An an RV or bus driver, you have certain responsibilities to your passengers and other drivers sharing the road. A large vehicle can cause significant damage in an accident, so it is critical that you take steps to make your commute as safe as possible. Blind spots are a serious problem for RV drivers and at least one small rear view camera is absolutely essential. You need to be able to see behind and to the side of your vehicle when shifting lanes, parking, and just driving in general. A quality RV backup camera makes this possible and, if you shop with us, quite affordable. These handy cameras are easy to install, and everything you need is included in the box. You can use one of our quality monitors, or you can add it to your existing system. 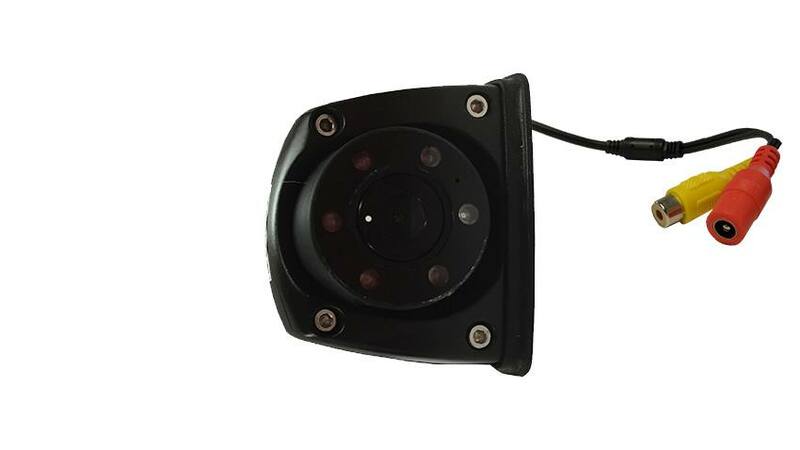 Many RV drivers prefer to have multiple cameras, and all of our products are compatible for that very reason. You can hook up two cameras to our monitors and switch between them by pressing Video 1 or Video 2, or you can use a quad box or monitor to view both. Depending on your preference, you can leave them on to use as digital mirrors while you drive or have them activate when you put the RV in reverse. We can make your dream camera setup come true. If you have any questions, don't hesitate to ask our experts.